The ministry has said that the exhibit can open again after it undergoes some alterations. The Armenian government has shut down a museum exhibition devoted to the Stalin-era purges, prompting accusations of censorship and reviving political debates over Armenia’s Soviet legacy. 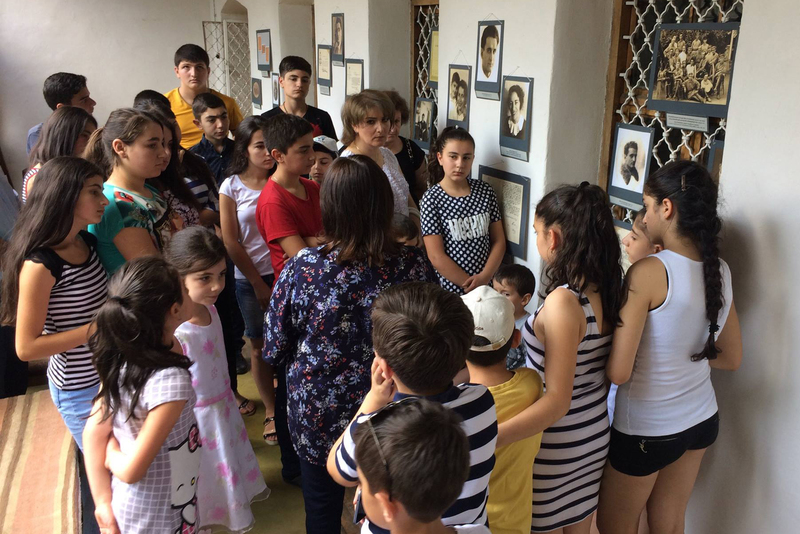 The exhibit, in Yerevan’s Tumanyan Museum, opened in early August to commemorate the 80th anniversary of the 1937 wave of state terror in the Soviet Union. At least 15 million people around the Soviet Union, and an estimated 45,000 in Armenia, were believed to have been killed in what is known as the Yezhovshchina, named after the secret police chief Nikolai Yezhov who implemented Stalin’s directive. Tukhikyan said in a television interview that shortly before the exhibit was closed, she received a threatening phone call from an unidentified person who, judging from the manner of speaking, “could easily be the leader of the Communist Party,” and complained that the exhibition “reeked of Dashnaks,” the nationalist political party. The ministry has said that the exhibit can open again after it undergoes some alterations. The exhibition “was somewhat politicized,” deputy minister of culture Arev Samuelyan told RFE/RL’s Armenian service. “Society should have probably been prepared for it beforehand. The exhibition will be opened again once it undergoes some minor changes,” she said, without elaborating on what those changes should be. The legacy of the Soviet Union remains a sensitive topic in its successor states, and the way that history is interpreted often tracks with a country’s present-day relations with Russia. Russian influence continues to be strong in Armenia, which relies heavily on military aid from Moscow. Armenia’s close relationship with Russia has caused some Armenian public intellectuals to suspect a Russian hand in the exhibition’s closure. Government officials insisted that they were not trying to whitewash the events of 1937. “No one is trying to ignore this topic. Among the victims of repression are thousands of our compatriots. Finally, a few of my relatives”, Culture Minister Armen Amiryan told RFE/RL’s Armenian service. The debate over the exhibit demonstrates how Armenia has yet to properly address the repressions, said Hranush Kharatyan, an ethnographer and author of a book on the purges in Armenia. “The uncertainty that arises from this ignorance puts people in a situation where it is difficult to determine whether this is political issue or not, whether or not it’s acceptable to hold this kind of event,” she said. Discussion is set to continue, however. The Yelk bloc has started an effort to rename the streets in Yerevan that are still named after Stalin-era officials implicated in the repressions. The effort has raised hackles in Russia, and some State Duma representatives have hinted ominously that there would be Russian reprisals if the renaming initiative were implemented. Meanwhile, a new exhibit on the repressions opened on September 22 at the National Library of Armenia, called “Anti-Soviets.” And the National Archives is preparing a five-volume publication on 1937, listing all the victims and perpetrators. The new exhibit, however, is not as “sharp” as the one at the Tumanyan Museum, according to Ashot Melikyan, chairman of the Armenian Committee to Protect Freedom of Expression. “It’s difficult to say if the current government saw itself in that exhibition, but we can say that Armenia, having come out of that totalitarian system, in its model of governance recalls that Soviet system,” he told the website Caucasian Knot.